I don’t know if you’ve noticed. I’m Chinese. Born in Taiwan. Raised in the U.S. I am as Americanized as anyone can get. Then I spent my childhood in Hawaii a place with a good blend of cultures. Since I am so Americanized, it means I don’t do a good job teaching my children about the Chinese culture. I do give myself credit in the sense that I expose my children to cultural experiences. I believe it is important for my children to learn about people and the world around them. 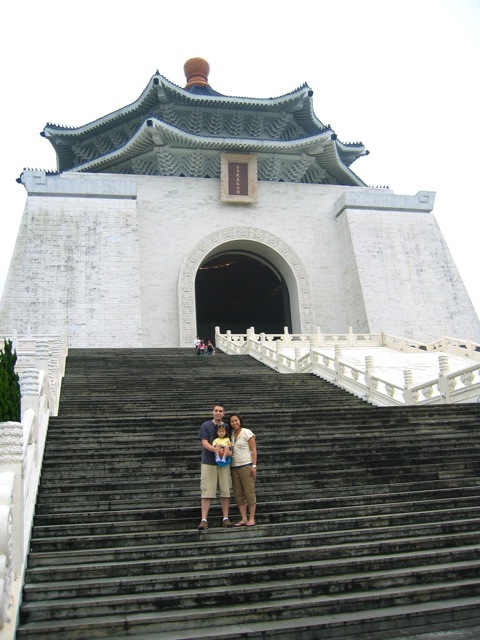 And when Kaye was just under 2, we all flew to Taiwan to visit my mother’s family. I am excited that so many Americans are looking into other countries for adoption opportunities. By the time Kaye and Elle go to school, they won’t be the only Chinese (half Chinese) in their classes. How exciting! 1. Attend cultural events in your community. Be in the know. Look in the local papers. Research online. Talk to your neighbors. This is a great way for children to learn about dances, music, food, celebrations and traditions. Last year we took Kaye and Elle to Greek Fest. We also attend Chinese New Year Festivals where the girls watch the dragon dance and taste Chinese food not available in restaurants. China Town, Little Italy, Bavarian towns, alpine villages. Try them. They’re fun. 3. Find origins of things around us. Architectural designs, food, clothing, ideas. Fact or fiction: Chinese fortune cookies, is it really Chinese? French fries, did it come from France? 4. Famous people from other countries. Not exactly celebrities, although that would work too. 5. Invite someone over who is from another country. Know someone from another country? Know someone who has a friend from another country? Invite them over to share their culture and traditions with your family. 6. Incorporate culture in the meals at home. Have a culture week where you make meals of a different culture each day of the week. » Tell me… What are some ways you teach your children about culture? First of all, I love your series. It’s perfect for these long winter months when we don’t get outside as much. As for teaching kids about other cultures, the library has some great books. We actually own Jan Brett’s Daisy Comes Home and assorted other books that depict life in other countries. One year we enjoyed introducing another family to dim sum at a restaurant on Chinese New Year. 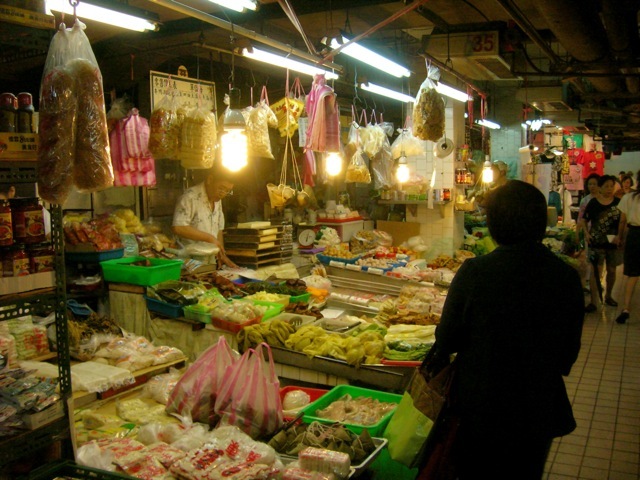 We also visit an Asian grocery store once a month or so and buy some specialty items. My husband and kids really like Vietnamese “Bun Oc” (snail noodle soup), but not all of our purchases are that exotic. In fact, I’m headed to the Asian market this week to stock up on frozen “jiaozi” (potstickers). Two of our children were born in Asia, so we are especially interested in keeping them connected to that part of our lives. My husband is from Honduras. We try to teach our girls that all people are equal, no matter what they look like on the outside. God made us all the way He wanted us and we are all beautiful. The girls are only 5 and 3 so teaching them about culture isn’t too indepth yet, but I have a book that I bought in Honduras when we lived there that the kids there use in school. Guess its like a Honduras Social Studies book. So, when they get older I will use that to teach them about Honduras history and culture. Of course we always have typical Honduran food, although I usually don’t make it all from scratch like Abuela Moncha does: eggs with tomato, refried beans, mantaquilla crema, and corn tortillas. My favorite Honduran food: baleadas! So, I try to make those as often as I can. We read books in Spanish too. My husband speaks spanish with them and I speak mostly English. Their dominant language is English, but they both understand Spanish very well and can conversate some. They both have been to Honduras and hopefully one day they will get to go back. Where our family lives in Honduras is not dangerous, but not safe…especially for two beautiful fair skinned Honduran/American girls. But my parents are missionaries in Belize and our oldest has been once and we will probably take them both within the next year. I think whether you have a multicultural family or just a good ole 100% American one it is very important to teach our children about different cultures. Even small towns here in the US are seeing more cultural diversity these days. It is important for our children to know that they shouldn’t judge a person by the way they speak or dress or by the different things they do, but love them for who God made them to be. thanks for reminding me that an understanding of different cultures has to be introduced. i definitely thought of the diverse community & the ease of finding different events growing up as a cultural norm and now realize i have to make a more concerted effort in my daughter’s life now that we don’t live in a city. We are Canadian and our city is extremely multicultural. I found a website [www.jobenexplores.com] that has various stories about about an alien kid visiting different countries to learn about their cultures and they are written for very young children. I have a 3 year old son and he loves them. One of the stories is about India and now he likes to pretend he is doing yoga moves. It’s really cute:) I was really surprised that he picked that up. And if it means he understands the other kids better when he starts school I think it puts him in a better place to make friends more easily.